The Hoover Dam is an engineering wonder and a National Historic Landmark, located along the Colorado River, less than an hour from Las Vegas. 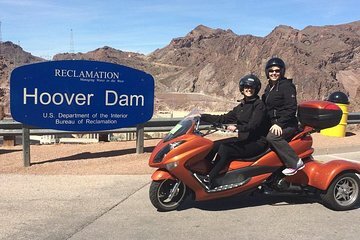 On this self-guided tour, enjoy round-trip transport from Las Vegas, then set out to explore the area by Trike. Choose your own route, driving around the Lake Mead National Recreation Area, stopping at the Hoover Dam viewpoints, or visiting nearby Boulder City.